If you are what you eat, I'm probably veeeeerrry round and ball shaped.... because I totally have a bliss ball/energy ball obsession. If you open our fridge at any given time, you'll see at least one container filled with bliss balls, ready to devour. On the top shelf of our freezer? More bliss balls, for those very rare occasions where we run out of ones in the fridge... or when I desperately want a specific flavour but need to rush out the door. OBSESSED, I tell you... but when they taste this good, how can you resist?! These Paleo Lemon Cashew Energy Balls are seriousssllyyyy delicious and so easy to make. All you'll need to make them? 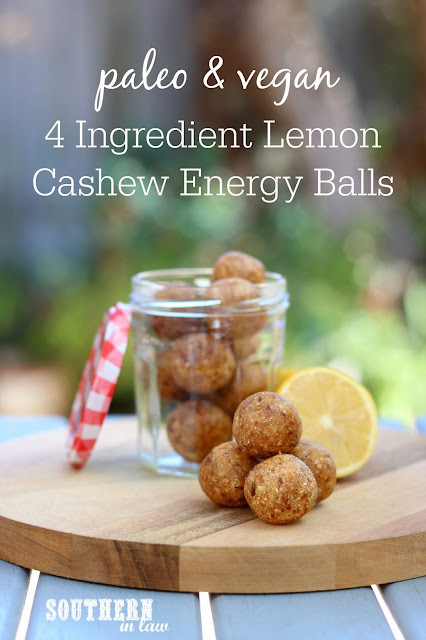 Just 4 ingredients; a fresh lemon, dates, cashews and a little bit of coconut flour (though I've also included a coconut free option below for those who don't like/can't have coconut, making this a three ingredient recipe!). 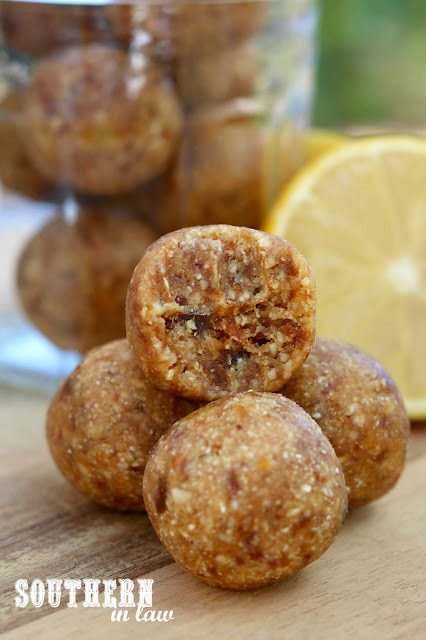 A few minutes in the food processor, a little bit of rolling and you'll have a whole container of delicious bliss balls to eat however you choose. We have them at almost every hour of the day. As a mid morning snack, lunch dessert, afternoon tea, dessert - there's never really a wrong time to eat them. They're sweet, full of flavour and no one will ever know they're so healthy! 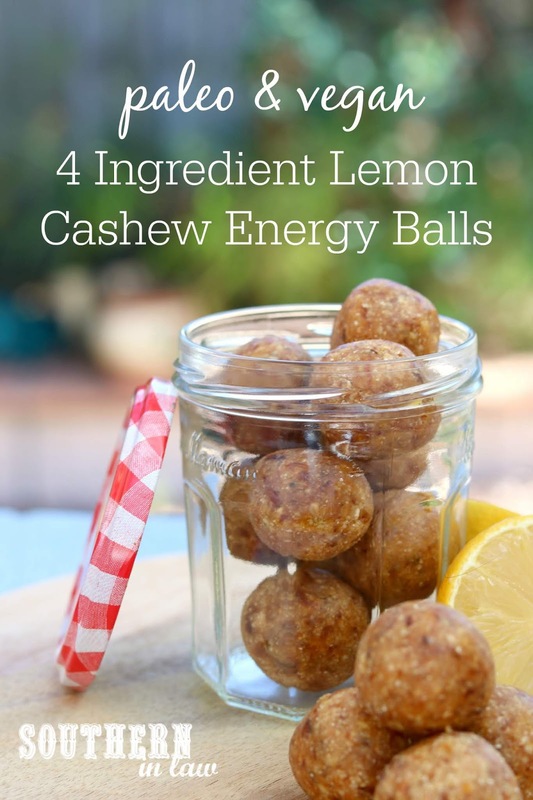 refined sugar free, peanut free and seriously delicious! Place all of your ingredients into your food processor bowl and process until combined. Once no large chunks of ingredients remain and your mix clumps together, roll your mixture into bite sized balls, placing onto a plate for serving or into a container to chill in the fridge before eating later on. We like these bites chilled so they're firmer - but you can eat them at room temperature or even frozen. These bites will keep for a week in the fridge in an airtight container or can be frozen to keep them fresher for longer. *If you don't want/can't have/don't have coconut flour, simply increase the cashews by 1/4-1/2 cup, using just enough to have an easy to roll consistency. If "you are what you eat" actually applied, what would you look like?